Benefit from standards-based knowledge modelling. Avoid vendor lock-in. SKOS compliant: PoolParty fully supports W3C’s Semantic Web Standards like SKOS, RDF, and SPARQL. SKOS-XL: extend the expressiveness of your SKOS taxonomy. Make use of PoolParty’s user-friendly SKOS-XL editor. 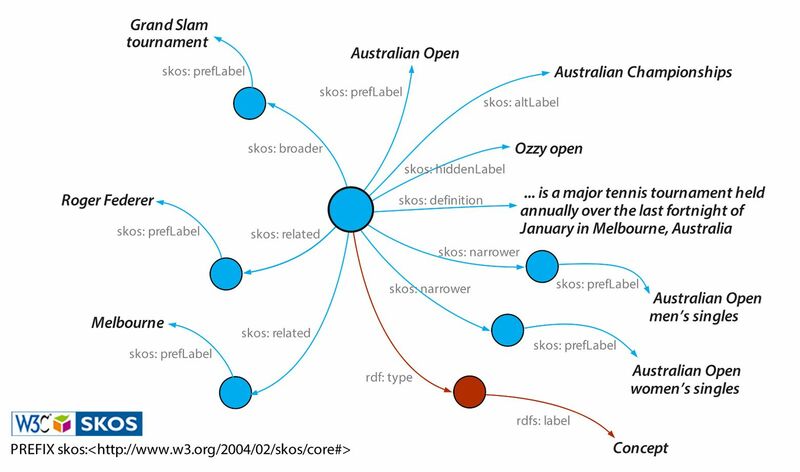 Visualization: PoolParty provides several tools to visualize a SKOS taxonomy. Grow with us: SKOS is simple but efficient. If you need more expressiveness, extend your schema! PoolParty SKOS Quality Checker: allows you to perform automated quality checks on controlled vocabularies. Avoid inconsistencies: qSKOS is able to make checks on over 20 quality issues. Quality Management in PoolParty: qSKOS is integrated in PoolParty. W3C recommendation: qSKOS is recommended by W3C. Deliver SKOS. 100%! PoolParty is built around SKOS. It’s not just exporting SKOS. The built-in validator makes sure you deliver SKOS. 100%!